There were 663 press releases posted in the last 24 hours and 154,003 in the last 365 days. NEW YORK, NEW YORK, USA, August 3, 2017 /EINPresswire.com/ -- ALPFA, the Association of Latino Professionals For America, a non-profit serving Latino professionals, and students, is holding its annual National Convention at Caesars Palace in Las Vegas, from August 6th to August 10th. This year’s convention theme - “The New Latino Paradigm” – focuses on how Latino students and professionals are driving the growth in our economy. ALPFA is proud to have RSM US LLP as the 2017 Lead Partner. ALPFA is capable of providing our members with the ability to think globally through our commitment to professional growth and development at the convention and through events and programs hosted by our student and professional chapters around the country. Participants at the convention will take part in more than 100 in-depth sessions across a range of topics and industries, including Finance, Auditing, Taxes, Digital Marketing, Robotics, Big Data, Diversity and Inclusion, Veterans and LGBTQ issues, Innovation, Strategy, Leadership Development, and Women of ALPFA. With more than 100 professional and leadership development workshops, panels and events, plus great entertainment with ALPFA’s Got Talent event, White Night celebration and an exclusive official Guinness World Records attempt by an ALPFA member, the 2017 ALPFA convention promises to be the best ever. Additionally, on August 10th, convention sponsors will participate in a Career Fair and Expo that will open opportunities for jobs and internships for all attendees to the conference. Convention sponsors and Career Fair participants include RSM (Lead Partner), EY, KPMG, PwC, State Street (Host Partners), Bank of America, Deloitte, Johnson & Johnson, JPMorgan Chase & Co., Northwestern Mutual (Platinum Partners), Walmart, BNY Mellon (Lead Emeritus), among others. 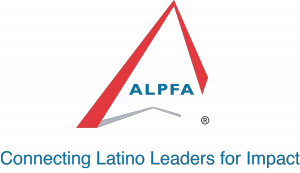 ALPFA (Association of Latino Professionals For America) purpose is connecting Latino leaders for impact. Founded in 1972, it counts over 80,000+ members assembled in 45 professional and more than 160 student chapters across America.